All over the country many of our native species are in great decline. But many farmers are working hard to restore and increase natural habitats to help bring the wildlife back. Farmer Chris James takes a sustainable(可持续的) approach to farming at Gupton Farm in Wales. Chris has applied a technique called precision farming to the more productive land. This uses detailed analysis of nutrient (营养物质)levels in the soil to target fertilizer more carefully. This means he uses fewer chemicals, which is better for water quality. Jonty and Mel Brunyee believe that good food, native livestock(家畜) and wildlife conservation go hand-in-hand. The couple work at Conygree Farm in Gloucestershire. Their aim is to develop an organic and sustainable farming system that improves soil quality, restores key habitats and builds links with the wider community through education work. Nature is very important to Neil and Leigh Heseltine. The couple are the fourth generation at Hill Top Farm in Yorkshire. They’ve used sustainable ways of farming to protect the area’s scenery. In 2015 they re-introduced Belted Galloway cattle. This helps support the upland ecosystem(生态系统) by making space for native species to develop. Working with nature to produce high quality meat is the goal for Paul and Madeleine Crawley at Courthill Farm in Sussex. To do this, they are making sure there are areas of wild flowers. These provide food and protection for insects, birds and animals. 1. What benefit can precision farming bring? D. Improving soil’s nutrient levels. 2. Who wants to influence more people to preserve nature? A. Chris James. B. Mel Brunyee. C. Leigh Heseltine. D. Madeleine Crawley. 3. What do the farmers in the text have in common? A. They were brought up at farms. B. They are working with their families. C. They are experts in raising and training animals. D. They are trying to develop a good relationship with nature. Saber Miresmailli was on vacation in London when, caught in a bit of traffic on London Bridge, he decided to take a photo of Tower Bridge. "I noticed the couple," he said. "At that moment, I did not see anyone from the wedding party or a photographer with the couple, so I took several pictures. Usually, my pictures are not very good given the fact that I don’t use flash and I don’t stop to compose (构图)—so when I got back after two weeks, I was very surprised to find this one turned out so well." Miresmailli said, "I thought to myself, if it was me getting married, I would have wanted the picture." So he posted the photo on Facebook and attached a few friends with the hope of finding the couple and passing them the picture. What happened next, he said, "was crazy". "I received more than 2,000 requests from perfect strangers and lots of positive and negative emails." Until this afternoon, almost 230,000 people had shared his Facebook post on the photo. There’s also been an uncertain identification of the couple. It’s likely that their names are Laura and James. "If it’s the right couple," Miresmailli said, "they are on their honeymoon in Bali and have no idea about the photo. I believe they will be shocked to find out about their fame." Miresmailli said he’s been drowned by the interest in the photo. "I just want to give them their picture and go back to work and tend my tomatoes," he said. 4. Saber Miresmailli is seeking for a couple who ___________. 5. Why are Miresmailli’s photos usually not satisfactory? A. They are not developed in time. B. He is not good at finding views. C. He doesn’t take enough pictures. D. He doesn’t care much about photograph skills. 6. What is the right order of the whole story? 7. Miresmailli said the words in the last paragraph with a sense of ___________. You’ll probably never go to Mars or sing on the stage with the Rolling Stones. But if virtual reality (VR) ever lives up to its promise, you might be able to do all these things — and many more — without even leaving your home. Unlike real reality, VR means simulating(模拟) bits of our world. Apart from games and entertainment, it’s long been used for training airlines pilots and doctors and for helping scientists to figure out complex problems such as the structure of protein molecules. Then how does it work? Close your eyes and think of VR and you probably picture something like this: a man wearing a wrap-around headset and data gloves wired(用线连接) into a powerful workstation or supercomputer. What makes VR different from an ordinary computer experience is the nature of the input and output. Where an ordinary computer uses things like a keyboard, mouse, or speech recognition for input, VR uses sensors(传感器) that find out how your body is moving. And where a PC displays output on a screen, VR uses two screens (one for each eye), surround-sound speakers, and maybe some forms of touch and body feedback as well. VR has been generally used by scientists, doctors, dentists, engineers, architects, archaeologists, and the army for about the last 30 years. Difficult and dangerous jobs are hard to train for. How can you safely practice taking a trip to space, making a jump from an airplane, or carrying out a brain operation? All these things are obvious applications of VR. Like any technology, VR has both good and bad points. Critics always warn that people may be addicted to alternative realities to the point of ignoring their real-world lives — but that criticism has been aimed at everything from radio and TV to computer games and the Internet. Like many technologies, VR takes little or nothing away from the real world: you don’t have to use it if you don’t want to. 8. According to the passage, which of the following is a kind of virtual reality? A. Flying high in the sky in your dream. B. Traveling in space by spaceship in a lab. C. Working out a math problem by yourself. D. Practicing swimming in a pool. 9. What equipment does virtual reality use for input? A. A keyboard. B. A speaker. C. A screen. D. Sensors. 10. TV is mentioned in the last paragraph to _____________. 11. What does the passage mainly talk about? A. The importance of virtual reality. B. The difference between real reality and virtual reality. C. The principles and applications of virtual reality. D. The equipment needed for virtual reality. Khan Lab School is bringing back the one-room model to teach young students in Mountain View, California. The school is a laboratory for an experimental kind of learning. Twelve-year-old Mishal Junaid loves the Khan Lab School’s untraditional methods. "When I wake up in the morning, I want to wake up, unlike my last school where I want to sleep in and not go to school..."Junaid and her sister’s reactions to the school surprise their parents. The girls’ father, Junaid Qurashi, said: "Our children, they love going to school; even if they are tired or sick or have the flu, they will not stay home from school. To the point that we worry why kids come home so happy. Are they really learning things?" Students ages 5 to 15 attend the experimental Khan Lab School. It has no grade levels and no homework. The students are in school from 8:30 in the morning until 6 o’clock at night. And, the school is open all year long, with small breaks here and there. Nine-year-old Holly Thompson enjoys going there. "You get to choose what you learn, and it’s not just a teacher hands you a worksheet and tells you what to do. You get to set your own goals. You have a schedule. You go to different classes." The school is the idea of Salman Khan. He said he started Khan Lab School because he thinks the current education system has problems. He hopes to create a better learning model. He said this system lets the older students take responsibility and help younger students. 12. Why is the girls’ father Junaid Qurashi worried? A. His daughters are too eager to go to school. B. His daughters sleep in their classes at school. C. His daughters might not gain enough knowledge. D. His daughters wake up too early in the morning. 13. What does Holly Thompson think of her study in Khan Lab School? A. She has to learn by herself. B. She is able to study actively. C. Her teacher forces her to learn. D. Too many classes require attending. 14. What is Salman Khan’s purpose to create the school? A. To bring up high-quality children. B. To bring pleasure to young children. C. To deny the whole education system. D. To explore a better teaching method. 15. What change has Malika Junaid found in her daughters? A. Honesty. B. Confidence. C. Politeness. D. Carefulness. As is known to all, nothing is more important than health. There is an English saying, "Laughter is the best medicine." It shows laughter is one of the most important factors that contribute to health. 16 Now, however, doctors have begun to investigate laughter and the effects it has on the human body. They have found that laughter is really good to people’s health. 17 They wanted to study the effects of laughter on the body. People watched funny films while doctors checked their heart rate, blood pressure, breathing and muscles. 18 It increases blood pressure, the heart beating and breathing; it also works several groups of muscles in the face, the stomach, and even the feet. Other tests have shown the function of laughter. They have drawn a conclusion that laughter appears to be able to reduce the effects of pain on the body. In one test doctors produced pain in groups of students who listened to different radio programs. The group that tolerated pain for the longest time was the one that listened to a funny program. 19 Scientists explained laughter helps to produce something that can reduce both stress and pain. As a result of these discoveries, some doctors open laughter clinics. 20 What’s more, doctors have found that even if their patients do not really feel like laughing ,making them smile is enough to produce beneficial effects. Also, these effects are similar to those caused by laughter. A. What resulted in such a result? B. Doctors carried out some tests. C. The more you laugh, the healthier you are. D. Until recently, few people took the saying seriously. E. Laughter is reported to be a good medicine to the patient. F. It was found that laughter has similar effects to physical exercise. G. They help to improve their patients’ health by encouraging them to laugh. 18. F 【解析】根据上文They wanted to study the effects of laughter on the body. People watched funny films while doctors checked their heart rate, blood pressure, breathing and muscles.可知此处应该写研究实验得到的结果，故选F. Outside our hotel in Ho Chi Minh City, Vietnam, a seemingly ancient woman waited beside the door with her hand outstretched(伸出). Every day I put my 21 in hers as our eyes met. She always 22 my smile, my grasp, and my greeting. On the last day of our visit, I found myself alone on a(n) 23 corner across the street from our hotel. Bicycles and motorbikes rushed in front of me. As I 24 on the sidewalk, I felt a hand on my elbow and looked 25 to see the smile of my small beggar friend looking up at me. She 26 her head toward the street, 27 that she would take me across. Together, we moved 28 into the chaos(混乱). Then we moved on toward the sidewalk, 29 she pulled my face down to hers, kissed me __30__ both cheeks, and then left, 31 smiling and waving back to me. Traveling in poorer nations, I have 32 a variety of ways to deal with beggars. The most 33 response of tourists is to 34 them and focus their eyes elsewhere. I have seen people 35 away an outstretched hand in angry annoyance. A few may 36 a few coins into the hand in a hurry, 37 that other ragged beggars won’t immediately appear on the scene. For many reasons, giving money is not the 38 response to an outstretched hand. 39 , the greatest gift we can give is our time and 40 . Everyone needs to feel recognized, appreciated and loved. And I believe that everyone is worth knowing. Choosing an active way to get to work could make a big 41 (differ) in people’s weight , a large U.K. study suggests. Studying tens of thousands of commuters(通勤者) over age 40, researchers found that people who __42__ (drive) to work weighed more and had a 43 (high) percentage of body fat than those who got to work by walking or biking. Those who commuted by bicycle were the slimmest of all. "We know that exercise 44 (protect) against obesity and chronic(慢性的) diseases. However, we all struggle 45 (fit)enough of it into our busy lives," said lead author Ellen Flint . "This study shows that people who manage to build physical activity into their daily commute have 46 (significant) lower body weight and healthier body composition than those who commute by car. Men and women who commuted to work 47 any means other than driving had lower body fat percentage and BMI 48 (compare) to adults who commuted by car. Even after accounting for 49 wide range of characteristics and lifestyle information about the __50__ (participate), active commuting methods were linked to lower body weight and body fat. Jeremy has a large circle of friends and is very popular at parities. Everybody admire him for his great sense of humour. Recently, one of Jeremy’s closest friend asked him to make a speech at a wedding reception. This is the sort of thing that Jeremy loves. He prepared the speech careful and went to the wedding with Jenny. He had included a large number of funny stories in the speech and of course, it was great success. As soon as he had finished, Jenny told him she wants to go home. Jeremy was a little disappointing by this but he did as if his daughter asked. On the way home, he asked Jenny if he had enjoyed the speech. In his surprise, she said she hadn’t. Jeremy asked her why this was so and she told him that she didn’t like to see so many people laughed at him. Jeremy has a large circle of friends and is very popular at parities. Everybody him for his great sense of humour. Recently, one of Jeremy’s closest asked him to make a speech at a wedding reception. This is the sort of thing that Jeremy loves. He prepared the speech and went to the wedding with Jenny. He had included a large number of funny stories in the speech and of course, it was great success. As soon as he had finished, Jenny told him she to go home. Jeremy was a little by this but he did as his daughter asked. On the way home, he asked Jenny if had enjoyed the speech. his surprise, she said she hadn’t. Jeremy asked her why this was so and she told him that she didn’t like to see so many people at him. People like to be considered humorous, but few of us actually have the sense of humor we hope we have. What is the power of humor? A sense of humor can help you become a successful speaker. Your humorous remarks can make the audience laugh, making your lecture an enjoyable one. We can notice that there is no great speaker in the world who is not humorous. A sense of humor can also help you with friendship. If you are humorous, you will always attract a lot of people around you. Besides, a sense of humor can help to ease the tension between people. So a sense of humor is really one of the keys to happiness. Every one of us should try to be humorous. 1. What is Mr. White? A. A salesman. B. A professor. C. A repairman. 2. What does the woman advise the man to do? C. Walk to the railway station. 3. What is the man’s attitude towards the plan? A. He is against it. C. He thinks it is reasonable. 4. What is the man’s problem? B. He has no ticket for the movie. 5. In which year is the man in college now? A. The first year. B. The second year. C. The third year. A. The post office. B. The cinema. C. A park. 7. Who can help the woman? A. The man with a bird. B. The man with a beard. C. The man with a bottle of beer. 8. Why is Jessie still at home? A. She takes the day off. B. She has enough time to go to work. C. She is waiting for the man to go out together. 9. What does Jessie think of taking the subway? 10. What do we know about Jessie? A. She used to have breakfast in her office. B. Her office is far away from the subway station. C. She doesn’t have to wait for buses and taxis in bad weather. A. A plan for the party. B. A visit to their relatives. C. A call to their colse friends. 12. Why is the woman thinking of calling on Ann? A. Ann has just got a new house. B. Ann has just come out of hospital. C. She wants to invite Ann to the party. 13. Why can’t they have a little party at Rick’s? A. He is still in hospital. B. He still doesn’t feel well. C. He doesn’t like noisy parties. 14. Who are the two speakers? A. A man and his wife. B. A man and his sister. C. A man and his girlfriend. 15. What does the man usually do at weekends? A. He has tea with his friends. B. He goes shopping with his friends. C. He watches football games on TV. 16. On which point of the picnic is the man different from the woman? A. Who should get the car ready. B. How many friends they should invite. C. What food and drink they should prepare. 17. How do students enter the library? B. With a student card. C. With a library account. 18. How many books can students borrow at most once? A. Nine. B. Eleven. C. Twelve. 19. What kind of book has to be returned within one week? B. Books liked by a lot of people. C. Books borrowed by local residents. A. Take the students on a campus tour. B. Show the students around the library. C. Tell the students where to get bottled water. “Safe”, “ sorted”, “ sound” or “cool” all means “That’s good” or “I understand”. “He’s fine” or “He’s fit” both means “He’s good-looking”. “Fine” and “fit” can describe a boy or a girl. Not everybody uses slang and not everybody likes it. A school in the north of England recently told its pupils to stop using slang words such as “hiya” (hello), cheers” and “ta” (both mean “thank you”) if they want to get a place at university or a good job. When British people use language like this, it’s no surprise that some say they can’t understand native speakers. But perhaps learners don’t need to worry so much. Research shows that most of the English spoken around the world today is between non-native speakers of the language. So, how important is it to understand these slang words and expressions? If you watch films or TV in English, read magazines in English, chat online in English or are interested in English lyrics (歌词), then understanding slang can be very useful. You probably won’t see much slang in your English examination, though. 21. Why is it hard to make a complete list of slang? A. Many slang words are outdated. B. It is mostly used by young people. D. It is from different cultural backgrounds. 22. Which of the following means “I understand”? A. Sorted. B. Innit. C. Whatever. D. Cheers. 23. What can be inferred about slang from the text? A. It prevents language from developing. B. It is also spread through TV and music. C. It is more popular in the UK than in the US. D. It has found its way into formal written English. 24. What can be concluded from the text? A. Many UK schools are encouraging students to use slang. B. It is possible for English learners to master some British slang. C. Knowing little slang doesn’t greatly affect how one communicates. D. More English is spoken by native speakers than by non-native speakers. It’s a classroom. Instead of being told to sit quietly and listen, you are encouraged to stand up, jump around, imagine and act out. It’s a class full of laughter and applause (鼓掌), emotion and energy. Welcome to drama class, one of my favorite classes at high school. In drama class we used to play a lot of “drama games”. We would improvise (即兴表演), copy and above all use our imagination. My favorite game was called “Spotto”. One person stood in the front of the class and performed a scene, completely out of their imagination. When one audience member yelled “Spotto!”, the performer had to freeze. Then the person who had yelled Spotto had to get up and improvise a new scenario (剧情) based on the position the first performer froze in. This went on as more and more people were added to the scene. Eventually the entire class would have joined the scene. Then the performers would start to leave in reverse (颠倒的) order. It was a lot of fun, and a good test of everyone’s imagination to see what they would come up with. Drama class at my school often involved a big performance at the end of the term as well. We would work on a production throughout the term and put on a show for our parents and the school community. It was a great experience to perform on stage in front of a large audience. Drama class can help shy children, like me, to come out of their shells. It helped them become more confident and developed their public speaking skills. Drama class is also a great place to express oneself, and a way for children to use up some of their energy. 25. Which do you agree with about the game “Spotto”? A. Each performer in the game has to retell the story of the latter performer. B. A performer has to show a story unrelated to that of the former performer. C. Every student gets the chance to make a contribution to the “Spotto” game. D. It is designed to help drama students learn from one another’s performance. 26. The underlined word “them” in the last paragraph refers to “ ”. 27. What do you know about the author according to the article? A. He was too shy to attend the drama class. B. He was a star student in the drama games. C. He was shining in big performances each term. D. He was happy to perform on stage in front of the audience. 28. What does the author mainly intend to tell us in the article? A. A few drama games for fun. B. How to improve drama skills. C. Unforgettable experiences on stage. D. One of his favorite high school courses. From the loss of wildlife to rising sea levels, we’re all well aware of the problems that climate change could cause. But while it may seem like such issues won’t affect most of us directly, it looks like future generations could grow up without something that many of us now take for granted: chocolate. According to an essay published by the US National Oceanic and Atmospheric Administration, changes to the climate in the areas that produce cacao — the plant from which chocolate is produced — may mean that it will soon become extinct. Most of the world’s cacao grows in countries close to the equator (赤道), with over half of it growing in the African nations of Ghana and Ivory Coast. It’s predicted that by 2050, climate change will have sped up the rate at which temperatures in these countries rise, making it extremely difficult for cacao to grow there. The problem doesn’t lie in increased heat, but in lower humidity (湿度), as it’s believed that rainfall will stay at the same level if the temperature rises. “In other words, as higher temperatures squeeze more water out of soil and plants, it’s unlikely that rainfall will increase enough to offset the moisture (水分) loss, “ wrote Michon Scott, the essay’s author. To help fight this problem, researchers from Berkeley University in the US are working on changing the DNA of cacao plants to allow them to survive in dryer conditions by using gene (基因) editing technology, according to US News. In the meantime, Mars, one of the world’s biggest companies of chocolate products, announced that it would spend 1 billion dollars helping reduce the effects of climate change. “This is a world issue, and it requires everyone to work together,” Mars spokesperson Barry Parkin told Business Insider. The message here is that if we all do our part, we may be able to prevent some of the worst influences of climate change. Or if we’re unlucky, chocolate will become a thing of the past. 29. What will make it hard for cacao to survive around the equator in the future? A. The increasing heat. B. The higher humidity. C. The moisture loss’ in the soil. D. The decrease in rainfall. 30. The underlined word “offset” in Paragraph 4 probably means “ ”. 31. What will Mars do to help cacao survive? A. It will work hard to plant cacao in greenhouses. B. It will use the gene editing technology to plant cacao. C. It will develop cacao that can survive in dryer conditions. D. It will give financial support to help fight climate change. 32. What is this article mainly about? A. Some new research and findings about growing cacao. B. The influence that cacao plants have on climate change. C. Problems cacao plants could face and the possible solutions. D. The significance of working together to fight climate change. Christmas Carol or Miss Havisham from Great Expectations, for example. His characters are often based on real people. Like Dickens’ own father, Mr. Micawber in David Copperfield went to prison for debt. Dickens cared about poverty and injustice- think of the story of Oliver Twist. He also described London well, where he lived most of his life. There is a memorable description of fog at the beginning of Bleak House. Interestingly, Dickens wrote and published many of his novels in parts-people read a new chapter of the story every week. Another master of language was JRR Tolkien. He was professor of Old English and used it for the names of his characters. He created a whole world from his study of Germanic mythology, first in The Hobbit and then in The Lord of the Rings trilogy (三部曲). You can see his influence in modem fantasy kooks and computer games. Sir Arthur Conan Doyle’s stories about Sherlock Holmes are famous, but the most successful writer of crime novels was Agatha Christie. Her best-loved character was Hercule Poirot. Christie worked in n pharmacy (药房) for a time 一 this gave her a useful knowledge of poisons. Several books were set in the Middle East after she travelled there with her husband. She was good at creating suspense (悬念)- people always wanted to read more. Dickens died in 1870. JRR Tolkien and Agatha Christie passed away in the 1970s. But Marley’s Ghost, Bilbo Baggins and Miss Marple live on. 33. Why has Dickens always been popular? A. His novels are based on true stories. B. His characters are familiar to readers. C. He was an expert at creating suspense. D. He described humans and society vividly. 34. Which will you probably choose if you are a fan of fantasy books? A. Great Expectations. B. The Hobbit. C. A Christmas Carol. D. Bleak House. A. Many famous writers live a long and healthy life. B. Most character in literature share common features. C. Many characters in literature can stand the lest of time. D. Some authors become more successful after their death. Jingping, whose online username is RWX, is the founder of the website. 37 As he moved with his parents to the US from Chengdu in Sichuan province when he was three, RWX only spoke a little Chinese at home and knew little of Chinese characters. The Chinese he first learned is Sichuan dialect that sounds a bit different from Mandarin (普通话). 38 He first tried to translate Louis Cha’s works by himself, for English versions of Chinese kung fu novels were rare and very expensive in the US. That year, one of his friends from Vietnam introduced him to Chinese fantasy and martial arts (武术) web fiction. 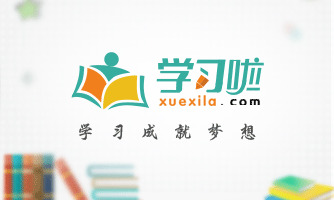 Wuxiaworld.com recently launched a cooperative agreement with Qidian.com, the first Chinese Internet literature website. 39 Some of them are ethnic Chinese (华裔人士) and Chinese learners from around the world. A. He is also a faithful reader of Chinese martial arts novels. B. In 2004, he began to study Chinese at the University of California. C. Now there are about 20 active Chinese-to-English translation groups. D. Traditional Chinese culture is too complex for Americans to understand. E. It shares English versions of Chinese kung fu and fantasy online novels. F. It now has 7 translations of Chinese fantasy and martial arts web fiction. G. Online fantasy web novels about Chinese kung fu are easier to understand. Songs bring us through our life. Each time I listen to my favorite song Reach, I’m deeply 41 by its lyrics: “If I could reach higher, just for one moment touch the sky...” When we hear this 42 song sung by Gloria Estefan, we can 43 imagine how she managed to return to the stage after her serious back injury. In 1990, this Cuban singer was 44 down in a terrible traffic accident, and the doctor 45 that she might never walk again. But Gloria did not 46 and kept on working hard towards her 47 . Just one year after the disaster 48 , she stood up again and 49 this encouraging song at the Atlanta Olympics. 50 I think of Gloria, a memory crowds in my mind. When I entered university, naturally shy, ordinary looking, and with 51 scores in my lessons, just like an ugly duckling, I seemed to be the 52 outstanding one in my class. Continuous failures drove me into 53 . “Am I to take a back seat to everyone else?” 54 to give in to such a fate, I spared no efforts to work on my lessons and joined in many 55 , such as English speech contests and dramas. I just wanted to catch every little chance to 56 myself. My continuous efforts finally paid off (得到回报). I received some 57 . More importantly, I 58 courage and confidence to face any difficulty in my life. 59 is just like fanning. You 60 what you sow. Once you have a dream, don’t hesitate. Keep moving! The other day my father drove me to school as usual. When we arrived, it began to rain 61 (heavy) and we only had one raincoat. My father let me wear it. Even though I 62 (hope) my father would put it on, I didn’t insist because I knew it would put him in a bad temper. Anyway, I did my best to use my raincoat 63 (protect) him from the rain. I was very moved by his sacrifice (牺牲), so moved that I cried. But I didn’t want him to see my tears. I just wanted to prevent him 64 (get) wet. The rain reminded me 65 how much love my father had given me. I recalled many things. When I was in primary school, I got poor results in tests. My mother was usually angry with me, but my father 66 always encourage me. When he was on his day off, he spent all his free time 67 (have) fun with my younger sister and me. He never missed the chance to be with us. Sometimes I want to join clubs or go on school 68 (trip). He always supports me since he thinks that such activities are worthwhile for a teenager. He hopes that I can learn and broaden my vision. In a word, he always 69 (try) to do everything he can for me. I love my father, but I don’t know how to show it. Many students have the same problem. We love our parents, we care for them, but we don’t know 70 we can do to help them. Anyway, I just want to say that I will never forget all that my father has done for me. Last Friday our class invited an old man to teach us why to make dough figurines (面人). When he comes into our classroom, we gave him warm welcome and two boys helped him with the tool box. First, he showed us basic steps and skills of made dough figurines. We stood around him and watched careful. Then we started to have a try ourselves. The old man walked around and helped with us patiently. Finally, we put the figurines what we made on the table and took several picture with the old man. Look at the figurines, we were all very excited. We believe we could have more activities of this kind in the future. we could have more activities of this kind in the future. I’m so grateful for the birthday blessing and gift you sent to me. As you know, it’s a challenge for me to learn English well, so I turned to you for help. You advised that I should read more and enlarge my vocabulary. While reading English stories, I came across some new words, so a dictionary was exactly what I needed. It was then that I received your gift, an English dictionary. What a timely help! Encouragingly, I have made some progress in a recent exam. I’ll go on working hard and do better. With the summer vacation approaching, I hope you can come to my city for a visit and we can have fun together. 1. What time is it in New York? A. It’s 5:00 p.m. B. It’s 10:00 p.m. C. It’s 7:00 p.m.
2. What do we know about the man’s ticket? A. It was super expensive. B. He got it at the last minute. C. He bought it a week ago. A. Buy a book on the Internet. B. Borrow a book. C. Return a book to the library. A. A chocolate cake. B. Iced tea. C. A hot drink. 5. What does the man think the woman should do? A. Speak out how she feels. B. Cancel her trip to Spain. C. Go to another country. 6. What is the relationship between the speakers? A. They are in a romantic relationship. B. They are brother and sister. 7. Why didn’t the man invite the woman at first? A. He was embarrassed about her presence. B. He wanted her to go out with her friends. C. He assumed she had other plans. 8. Why does the woman want to learn Spanish? A. To get more money to help pay for school. B. To get accepted into a nursing school. C. To travel in South America. 9. What does the man want to get? A. A beer. B. Some coffee. 10. What does the man say about the woman’s car? A. It needs a new engine. B. Something is wrong with the brakes. 11. Why can’t the man get the car back to the woman this afternoon? A. He wants to see a show. B. He doesn’t have the parts he needs. C. He has to work on other cars first. 12. What does the man suggest the woman do? A. Drive her car carefully. B. Take the bus. C. Bring her car back in the morning. 13. When will the man go to the woman’s house? A. On Thursday. B. On Tuesday. 14. Why won’t the man go with his parents? A. He has planned to spend the holiday with the woman. B. He doesn’t like the weather in Finland. C. He is too busy with his work. 15. Who will be at the dinner party? A. The woman’s niece. B. The woman’s grandma. 16. What will the man bring to the dinner? A. Green beans. B. Dessert. 17. What was Martha Stewart’s first business? A. She prepared food for local parties and events. B. She organized birthday parties. 18. When did Martha Stewart start making television appearances? A. After she was released from prison. B. When she started cooking at local events. C. When her cookbook became popular. 19. How long did Martha Stewart stay in prison? A. Five months. B.Three months. C. Six months. 20. What happened to Martha Stewart’s career after she was set free? A. She retired from business. B. She has taken on many new projects. C. She has been unsuccessful. W: Oh, no! I meant to call my mom, but it’s too late to call today. W: So, what did you end up doing this weekend? M: I went to see a Lady Gaga concert. She was amazing! W: Wow, those tickets were super expensive, right? W: Why don’ t you just buy your own copy online? M: It’s freezing out there! W: Well, you’ve come to the right place. What can I get you today? W: OK. One hot chocolate, coming right up. W: I’m so stressed. I don’t know how to tell my boyfriend that I think we should break up when I go to Spain next year. M: Hey, Susie. Can I borrow your car tonight? W: No! The last time you borrowed it, you returned it with the gas tank empty. M: Did I? I’m sorry, baby. I promise to fill the tank this time. W: What do you need it for? M: I want to take my mom out to dinner. W: And I’m not invited? W: I do. But I’d rather go with you. Don’t you think it’s time for me to meet your mother? M: OK, sure. Just don’t expect her to love you right away. She never thinks any girl is good enough for me. M: What’s up? Are you still studying? W: Yeah, I’ll be at it all night. M: When’s the big test? W: Not for three days. But I have too many things to remember before then. M: You’re taking this Spanish class so seriously. Don’t you think you should lighten up (放松，别紧张) a bit? M: Come on. You’ll do fine. You always do fine. W: Only when I study hard. M: OK. But can’t you take a little break? Hey, you should come get some fish with me. (9) You know, fish is actually very good for your brain. M: How can I help you, ma’am? W: I was hoping you could look at my car today. For the past few weeks, it has been making very strange noises. M: What kinds of noises? W: It sounds as if something is being damaged in the wheels. It only happens when I’m slowing down. M: Whoa… It sounds like you need new brakes. (10) You’ll have to leave the car with us until tomorrow. W: Gosh, I was thinking you’d be able to get it back to me this afternoon. M: Unfortunately, we need to order the parts, and we can’t get started until they arrive. (11) If I order them now, they’ll be here this afternoon, or tomorrow morning at the latest. W: I see. Well, why don’t I just bring my car back in the morning? There’s a show I really want to see downtown tonight. M: Yeah. Thanks again for the invitation. I was worried I’d have to spend it alone after my parents announced they’d be in Finland. W: Well, I’m glad you won’t be alone on a holiday. It’ll be great to have you celebrate with us. The more the merrier! M: Exactly. How many people will be there? W: Let’s see…my parents, my grandpa, my sister, my brother-in-law, my niece, and my two cousins…plus us. (15) So, ten people altogether. M: Should I bring anything? W: Nope. We’ve got it covered. M: Come on. I hate to show up empty-handed. You are being so generous to have me. I know! I’ll bring pie. I’ll make a great pumpkin pie. M: Wow, I’m getting hungry just thinking about it. How about this — I’ll bring a nice bottle of wine. (16) You can never have too much of that. Although her name makes most people think of food and home decorating, Martha Stewart is an extremely successful American businesswoman whose talents have made her famous and rich. As a child, she was taught how to cook and sew by her mother, and how to garden by her father. As a teenager, she gained experience in event planning by organizing birthday parties for younger kids. However, it was not until she was thirty-five years old that she opened her own small business. The business was a food service company that prepared food for local parties and events. (17) A few years later, she published a cookbook featuring these recipes. The cookbook was a huge success, which led to her making television appearances. (18) Soon, Martha Stewart was a household name, and she eventually established a much larger company called Martha Stewart Living Omnimedia. Suddenly another thought went through Kate’s mind like an electric shock. An express train was due to go past about thirty minutes later. If it were not stopped, that long train, full of passengers, would fall into the stream. “Someone must go to the station and warn the station-master，” Kate thought. But who was to go? She would have to go herself. There was no one else. In wind and rain she started on her difficult way. Soon she was at the bridge that crossed the Des Moines River, a bridge also built of wood, just like the bridge across Honey Creek. The storm had not washed this away, but there was no footpath across it. She would have to cross it by stepping from sleeper (枕木)to sleeper. With great care she began the dangerous crossing, sometimes on her hands and knees, hardly daring to look down between the sleepers into the wild flood waters below. If she should slip, she would fall between the sleepers, into the rapidly flowing stream. At last -- she never knew how long it had taken her- - she felt solid ground under her feet. But there was no time to rest. She still had to run more than half a mile and had only a few minutes left. Unless she reached the station before the express did, many, many lives would be lost. She did reach the station just as the train came into sight. Fortunately the station-master was standing outside. “The bridge is down! Stop the train! Oh, please stop it!” Kate shouted breathlessly. The station-master went pale. He rushed into the station building and came back with a signal light. He waved the red light as the train came into the station. It was not a second too early. 21. What did Kate decide to do? A. Stop the express train. B. Check the signal light. 22. Which of the following words best describes Kate’s journey? 23. Why did the station-master turn pale? A. He suddenly fell ill. B. He realized the danger. C. He discovered his mistake. D. He became over-excited. Mike wrote to Chicago Tribune writer Bob Greene. He wanted each of the newspaper’s readers to send him a penny (分). Greene thought the idea sounded fun and agreed to do it. He shared Mike’ s letter with his readers on September 6, 1987. (捐款) were received from every state in the United States, and even Mexico, Canada, and the Bahamas. So, Mike achieved his $ 28,000 goal and went on to learn food science from the University of Illinois. 24. What troubled Mike when he was in his first year at college? A. He couldn’ t afford his tuition. B. He failed to find a part-time job. C. His parents were unwilling to help. D. His parents had huge debts to pay off. 25. Why did Mike write to Greene? A. To ask for help. B. To send his greetings. C. To express his thanks. D. To introduce himself. 26. What can we infer from Paragraph 4 about Mike? A. His fund needed more donations. B. He became rich and successful. C. His plan really worked. D. He asked for too much. 27. What's the best title for the text? Being a teenager can be challenging, but it can also be exciting. You are becoming more independent and making decisions for yourself. You are also learning to take risks and solve problems better. And changes are happening throughout your body, even in your brain. The changes in your brain are influencing how you develop into an adult. Imagine the structure(结构)of your brain is like a big road map. Lots of roads lead to different destinations(目的地). When you were a child, as you learnt new things, your brain created more and more roads to different destinations. By the time you become a teenager, many different roads lead to the most important places on the map. Now your brain's job is to make that map more efficient. As a result, your experiences as a teenager actually influence the way that your brain develops. If you spend hours playing video games, what skills do you use? You learn to see something with your eyes and respond to it with your hands. As you develop those skills, your brain is making sure that the roads leading to them are especially fast and efficient. So, your video-game playing could be preparing you for a career such as a pilot. 28.What happens as children learn new things? A. Their brains make the maps more efficient. B. The structures of their brains are like big road maps. C. Many different roads lead to the most important places. D. Their brains create more roads to different destinations. 29.What does the underlined word “it” in Paragraph 3 refer to? A. Something you see. B.Your brain. C. Your skill. D. Something you lea rn. 30.What’s the writer’s advice for teenagers? A. Teenagers should learn to be more independent. B. Teenagers should work harder and more efficiently. C. Teenagers should experience more and stick to the useful activities. D. Teenagers should play more video games in order to be a pilot. 31.Which would be the best title for the passage? A. Making Decisions for Yourself. B. Ways of Changing Your Brain. C.Developing Your Brain for the Future. D. Changes Happening in Your Brain. Canada, the second biggest country in the world, has an area of about ten million square km, covering most of the northern part of the North American continent and with an area larger than that of the United States. Canada lies to the southwest of Greenland. To the south, it reaches to the same latitude(纬度) as southern France. The distance from the Pacific coast in the west to the Atlantic in the east is greater than that from North America to Europe. But in spite of(不顾,不管)its size, two-thirds of the population of Canada live in a narrow belt of land no more than 200 km from the U.S. border. In the east are the Great Lakes that lie on the border with the United States. These huge inland seas empty into the St Lawrence River, which links them with the Atlantic Ocean. The centre of government and finance(金融,财政) is in Ontario(安大略). So are many of Canada’s industries. Canada is a country of ten provinces and three territories(地方). The first inhabitants(居民) of Canada were North American Indians and Inuit. France and Britain each governed Canada in the past. At that time the population of Canada was almost entirely the French, but in the next few decades(十年), thousands of British colonists emigrated(移民) to Canada from the British Isles and from the American colonies. In 1849, the right of Canada to self-government was recognized. Today, 18 percent of Canadians still speak only French. Canada is often called “A Land of the Future”. The country’s rich oil and mineral resources have hardly been touched. It is among the ten leading industrial nations of the world. Its capital is Ottawa and the largest city is Toronto. Other important cities include Montreal, Vancouver, Edmonton, Calgary, Winnipeg, Hamilton, and Quebec. 32. What is the passage mainly about? A. The history of Canada B. The geography of Canada. C. The industry of Canada. D. All of the above. 33. What does the underlined word “links” in the first paragraph mean? 34. According to the passage, Canada’s industries are mainly located in . 35. Why is Canada called “A Land of the Future”? A. Because it’s a developed country. B. Because its future is very wonderful. C. Because its rich resources haven’t been developed. D. It’s not mentioned in the passage. How to be powerful? “Three Apples” changed the world. The first one seduced (引诱) Eve.The second one awakened Newton.36.__________ Here are some famous words from Steve Jobs to share. That has been one of my mottos –focus and simplicity.Simple can be harder than complex.You have to work hard to get your thinking clean and to make it simple.But it’s worth it in the end because once you get there,you can move mountains. 38. __________ Going to bed at night saying we’ve done something wonderful,that’s what matters to me. Your work is going to fill a large part of your life,and the only way to be truly satisfied is to do what you believe is great work 39_._______ If you haven’t found it yet,keep looking.Don’t settle. No one wants to die.Even people who want to go to heaven don’t want to die to get there 40.________ No one has ever escaped it.And that is as it should be,because death is very likely to be the single best invention of life.It is life’s change agent.It clears out the old to make way for the new.Right now the new is you,but someday not too long from now,you will gradually become the old and be cleared away. B. The third one was in the hands of Steve Jobs. C. This is not a one-man show. D. And the only way to do great work is to love what you do . E. And yet death is the destination we all share. F. It’s really hard to design products by focusing on groups. G. Being the richest man in the cemetery(墓地) doesn’t matter to me. It was a busy day as usual. I was making sandwiches and balancing the phone between my shoulder and chin. The washing machine sounded as my husband walked in with our daughters. We had only about twenty minutes to eat _____41_____ we had to take the girls to their next activity. My husband seemed a bit ___42___ that dinner was not on the table. That night, I had a heavy___43___, thinking we were becoming slaves(奴隶) of the tasks we did everyday. We had become too ____44____ in our own tasks and seldom cared about those around us. We needed to do something to ____45____ some meaning into our lives. I bought a notebook, named it “Our Deed Diary” and held a family meeting. I told my family I wanted us all to think about doing a ___46___ for others every day. It could be for each other or for people outside our family. And we all needed to ___47___ the deed in the notebook. I thought one deed a day was too easy. ___48___, it was actually harder than it seemed because it had to be something ___49___ what we had already done. Sending birthday cards to people we already sent cards to every year would not _____50_____. We had a rough ____51____. On some days, someone would not _____52_____ to do a good deed, while on other days, we would forget to write our good deeds in the diary. After a few weeks, I found myself waking up in the morning trying to _____53_____ what good deed I could do for someone that day. My daughters began to rush to me after school to ____54____ me the good deed they had done. Now, after a year, I am happy to say that it is making a(n) _____55_____ in our lives. Instead of always ____56____ what the day will bring for us, we think about what we can do for someone else. Who can imagine doing a simple kindness a day would be so _____57_____? I feel my daughters have felt inner joy that you can only _____58_____ by giving to someone else from your heart. The best thing is that you feel so great about doing something for someone else; you don’t even look for or expect anything in _____59_____. So when someone does return the favor, it is an enormous and positive _____60_____. As 61 (teenager), you have many dreams. These dreams can be very big, such as winning the Nobel Prize, or they can be very small, for example, you may just want to become the best student in your class. Once you find a dream, what do you do with it? Do you ever try 62 (make) your dream come true? Andrew Mathews, 63 Australian writer, tells us that making our dreams come true is the biggest challenge (挑战) in our life. You may think you are not very good 64 some school subjects or it is 65 (possible) for you to become a writer. These kinds of thoughts stop you from 66(realize) your dreams. In fact, everyone can realize his dream. Keep telling yourself 67 you want. Do this step by step and your dream will come true earlier because a big dream 68 (make) up of many small dreams. You must also never give up your dream. There will be many 69 (difficult) on the road to your dreams. But the biggest one comes from70(you). You need to decide what is the most important. On January 5th, students in our school visited Robot World, which we saw a great diversity of robot. It was amazed to find those robots could do a great number of things just like real people, including playing chess, playing piano and drawing pictures. What’s more, the robots were in different kinds and shapes, which made us enjoyable. In addition, that excited me most was the show given by a group of robots. They danced just as if they are dancers on the stage. By visiting Robot World, I have learned a lot of about robots, especial about their functions and shapes. The great human wisdom is S0 powerful that it make us feel more comfortable live in the world. As is known to all, it is one of the Chinese traditional virtues to be grateful to whoever has been kind and helpful to us. In my opinion, our gratitude school first g o to our parents because they not only provide us food and clothing but also care for us in many ways. They are always willing to do whatever they can to ensure our happiness. Second, we should thank the teachers who are making every effort to give us wisdom and knowledge and help us become useful persons. As the saying goes, “Actions speak louder than words.” Therefore, we are supposed to devote ourselves to studying so that we can live up to their expectations. It’s also important to express our gratitude whenever we get help from them. In short, we should strengthen our sense of gratitude and take actions to repay their love and kindness.